Special thanks to our partners! If you’d like to join our cause and become a partner contact us today. Since 2002, Centinela Feed has provided us with our home base! Come see us on Saturdays and shop goodies for your dogs, cats, and all animal companions! 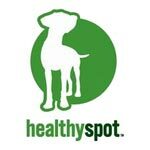 Once a month, Healthy Spot welcomes our pooches to be shown in their cagefree play room! Healthy Spot has been also supporting us with its roundup program and at its Halloween parties every year! Excellent cagefree daycare and boarding, located conveniently on the way to LAX in El Segundo. Yellow Brick Road also offers a variety of classes for puppy socialization, basic/intermediate obedience, beginner/intermediate/advance agility and canine good citizen certification. CageFree K-9 Camp is a premier cagefree dog daycare, training and boarding kennel in Los Angeles, conveniently located near the 10 Freeway. Cagefree K-9 Camp provides personal care and concern for every camper depending on each dog’s personality and lifestyle. SusieCakes is an all-American bakery offering home-style dessert favorites baked entirely from scratch. Its classic treats are made daily by in-house bakers, using the freshest & finest ingredients. SusieCakes has donated the delicious, sentimental sweets to our volunteers (not only dogs need treats!) and at our various events. The best ID tags your dogs and cats can ever ask for! Boomerang Tags has kept all our dogs safe since 2003! Marina Pet Spa has been helping Forte dogs to look great and smell yummy since 2002.